YABC: What surprised you most while writing your latest book? BA: The biggest surprise has been the voices of my characters coming to life as I sleep. I can see them interacting with each other, and when I am awake early in the morning, I begin writing and writing; it feels a lot like I’m taking dictation from Celine Caldwell and her friends, because their voices and words just flow so easily in my mind, it’s amazing! YABC: If you could live in any fantasy world, which one would it be? BA: The world I’d love to live in, if I could, is not so much a fantasy-world, but a real one from the past. I’d love have to go back in time to the Second Empire in France during the 19th century. YABC: Do you have a mantra that gets you through the drafting phase? BA: For me, I think about the Notorious B.I.G. and his song, “Sky’s the Limit.” That song is such a motivator for me - I can get through my toughest writing times. His songs, the lyrics, make me believe whatever I want is achievable. YABC: What is your favorite hobby when you're not writing? BA: I love running and I love playing tennis! BA: It was actually Celine Caldwell. Her mom, Julia Caldwell and her friends: Baheera Amid, Reese Dreyfus, Sandy Brennan, Troy Roberts, all of the characters came so easily to me. I could see what they looked like; their hair color, eye color, height, weight, personalities, I mean, everything about them. Celine took a lot of time for me because I had to separate myself from her in order to see her and learn about her. YABC: Do you enjoy writing to music? BA: If so, do you have a go-to playlist? Music plays such a major role in my life…it always has. 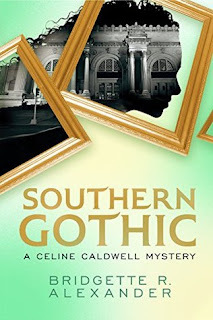 I was connected to particular songs and artists throughout the entire time I was writing Southern Gothic and the other books in the Celine Caldwell series. Music helps me when I need to draw certain emotions out of myself. For example, when Celine is trying to connect with her mother, Julia. Julia is a very cold, guarded person, even with her own family and friends. So in order for Celine to connect to her mom, she needed to play songs that were important to Julia…songs that would trigger a loving and vulnerable part of Julia, which would give room for Celine to connect with her mom. For me, I listened to the Al Green (For the Good Times) and Celine Dion (Because You Love Me) songs that were incredibly heart wrenching for me when I was younger. Listening to those particular songs and reconnected with such deep, painful memories in my own life, and that allowed me to flow those memories of pain, sorrow, and abandonment into the emotional state of Celine - and it pours over her in the books. Other musicians, singers, and songs that I listened to were: Aaron Copeland (Quite City); of course, Biggie Smalls – the Notorious B.I.G. (Sky’s The Limit); Keisha Coles (I Remember). YABC: What's a book that you've read recently that you would recommend to your readers? BA: I love the revising process. It allows me to recreate a scene or further develop my character’s dialogue. The ultimate enjoyment for me, is adding to the story, that’s the best part! Click here to order book!! “Tell your mother to do as we say…or we go to the police.” Frightened by these chilling words of blackmail on the steps of the Metropolitan Museum of Art, 16 years old, Celine Caldwell is threatened as she raced from her tony school on Manhattan’s Upper East Side to her internship at the Museum. She wants to go screaming to her mother’s office at the Museum, where she just happens to be the powerful curator, Julia Caldwell, but Celine doesn’t dare tell her mother about the threats. These days she doesn’t tell her mom much. Their relationship has been strained once her parent’s divorce was finalized last year. Since then Celine’s mom work at the Museum ballooned into an obsession that placed Celine dead last. Rumors are flying inside the Museum about two mysterious paintings that have disappeared from an upcoming exhibition. Julia’s outrageous insistence that the paintings be removed from the exhibit has made her the number-one target of a criminal investigation, and her diva personality does little to move the police to consider alternative suspects. Celine knows her mother is innocent and vows to find the paintings and keep her mother out of jail. Celine’s life gets very complicated when she learns that these two paintings are more than priceless works of art – they are evidence of a long buried murder. The closer Celine gets to the truth, the more dangerous each step becomes for her. Until she finds herself face-to-face with a killer so desperate to keep these secrets buried, right along with Celine herself. 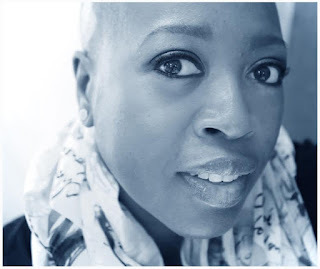 Bridgette R. Alexander is a modern art historian and founding partner of Late Bloom Productions. She received her graduate training in art history at the University of Chicago. Alexander worked intimately with some of the world’s greatest museums and galleries, New York, Paris, Berlin, Chicago and Los Angeles and developed art education programs; curated exhibits; and later taught art history and visual culture at the School of the Art Institute of Chicago. She is known for her quirky art history tours in some of the grandest museums in the US. As a 19th Century French art historian she scoured the archives and streets of Paris for threads linking the lives of Manet and his friends during the Impressionist era. Five winners will receive a signed copy of Southern Gothic: A Celine Caldwell Mystery(US only). This book sounds very interesting. I look forward to reading about the mystery and family dynamic. Any plot that starts out with blackmail is going to be a nail biter! This is an unusually appealing work for me. I am duly impressed by the author's academic and career of public expression in re: arts and social issues.especially in writing. WIth the deep-seates appreciation of art forms including literature combined with an understanding of artistic expression in this medium among others of exceptional depth and nuance, I am so curious to see how this critical sophistication and extensive experience will manifest itself in her YA storytelling/debut literary work! I also find the plot intriguiing. I think a high brow author doesn't have to write high brow novels if that is not suitable for the audience, but I expect even simple storylines will be much improved by the ideas this woman can bring to the page! I love an impressively educated intellectual woman who takes the arts seriously! Always have! Humanities represent! I love the way that the author clearly has a love for history, and it seems to have seeped into her story. As an artist, I love the art history that promises to seep into the novel and I always love a good mystery. I'm really looking forward to a novel with such a suspenseful synopsis. I love that this book is amystery, has historical details woven into it and deals with art. This sounds so exciting! I am impressed already and think the knowledge of art history will make for a most intelligent and interesting book! The cover is intriguing, to say the least! I'm looking forward to such a good read. I like the frames on the book cover. This story sounds mysterious and thrilling!